Ah, babies! They are so cute and loveable….and grow so fast! It seems like they are constantly outgrowing their clothes. You may have received a fair amount of 0-3 month sized clothing at your baby shower but probably didn’t get much in larger sizes. Once you realize that, you might start to panic. Even the cheap baby clothing stores can be expensive when you have to buy enough in each size to make it to the next laundry day. You’re in luck! 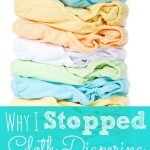 I’m going to tell you how to buy baby clothes without going broke. Cute baby clothes, in fact! It only takes a few tips to build your baby’s wardrobe without having to eat boxed mac and cheese for a month. With how fast babies grow it can be silly to buy all of their clothes brand new. Sure, some is okay, but not all. 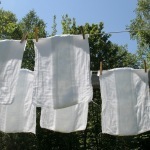 There are many different places to get used clothes that are still usable. Consignment stores— This is my absolute favorite…and also why I don’t tend to find good baby clothes at Goodwill. People seem to save the good clothes for consignment as they can get some money for them. Which totally makes sense! I do the exact same thing. It can be a little more expensive than thrift to shop consignment but not too much. Still much cheaper than new and usually nice quality and good brands. Facebook– Another one of my favorites. Look for local “garage sale” groups and check the new Facebook Marketplace. You often find people selling clothing in a big bag, usually called a “lot”. Sure, you may have to get rid of some of it but for $15 for a massive trash bag full of clothes, it is usually worth it. A lot of times people are also willing to let you dig through to take just what you want for $0.50-$2 per item, depending on what it is. Some of my favorite outfits and pieces came from this method. Just be careful with how you meet people you meet online. Craigslist and ebay– Craigslist is very similar to Facebook. Most the time, people are selling a box or a trash bag full of baby clothes for a certain amount. I don’t personally see as much on Craigslist as I do on Facebook but that is location dependent. Ebay is a great place for finding special items or lots. I have never personally found much on ebay but it is worth checking out. Yes, use sales and coupons to buy clothing, not just food. You see, I really love Carter’s. Like really love. You should not let me loose in that store. 🙂 However, they often release 20% of $40 coupons. This isn’t always great but you usually can combine these with sales. Not clearance though. I haven’t been in awhile but try to go in every so often. You can even find great things at JC Penney, Kohl’s, and other department stores. Most every store that sells baby clothing will have a good sale or clearance event a few times a year and many stores also release coupons. Be sure to also check the clearance rack at places like Walmart and Target. You can often find things for $1-3. We have a friend who had a baby girl about three weeks before my oldest was born. And much bigger than my oldest. Meaning, the other baby was actually in the correct size whereas was a size behind. 🙂 Most times I went to visit this friend I left with a paper grocery bag of clothes. I also like to hand down clothes that we no longer need. I feel like people have blessed me, I can bless others. I pass clothing on when there is an opportunity. 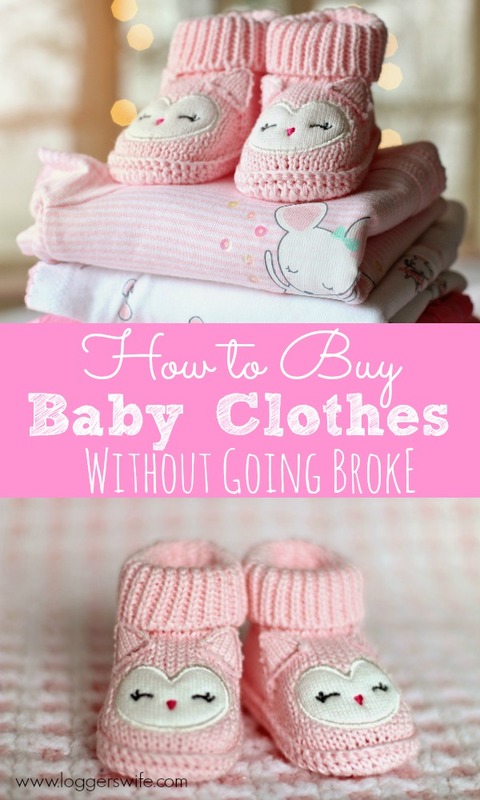 There are lots of ways to buy baby clothes without going broke. These are some of the best ways. If you have any other ways, be sure to share them in the comments!